Liberia: 165 years of independence. Looking back or looking forward? Every year, as July 26 approaches, I first get overwhelmed by joy, then get into a pensive mood. On previous occasions I have elaborated on the triple cause of my joy. Let me only mention the first reason here: Liberia’s Independence Day. This year’s ‘July 26’ marks Liberia 165th independence anniversary. Nearly 200 years ago – 190 years to be precise, in 1822 – the first group of freed slaves and free born blacks from the United States set foot on West African soil, created a colony – with logistical, material, financial and military support from the United States – and declared themselves independent on July 26, 1847. The first African republic was born. History was made. replaced by Liberia’s first president of tribal descent, 133 years after its creation, in 1980. The assassination of President William Tolbert and the public execution of thirteen former government officials and political leaders on one of Monrovia’s beaches were world news. The end of the Cold War in the late 1980s brought with it the end of the US protection and interest in the tiny West African republic, the size of Ohio. A coincidence? Perhaps. What followed was one of the most cruel wars that raged on the African continent. The 1989 military invasion that sought to remove Liberia’s first president of tribal descent, who had turned into an oppressive dictator, degenerated. Commonly referred to as ‘civil war’, the violent conflict in fact was a tribal war. 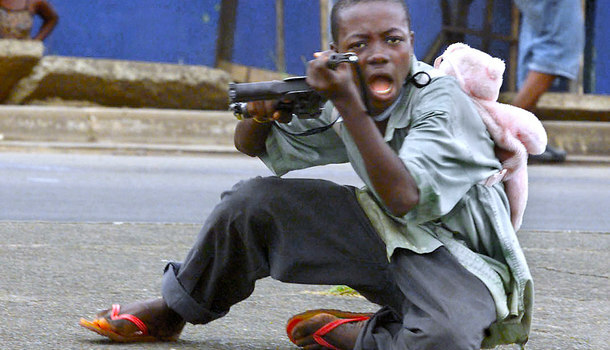 It drew worldwide attention because of the atrocities, the child soldiers and the insanity of the war – like most if not all wars. More than 250,000 people got killed, more than 1.5 million displaced. In fact, the entire population of nearly 3 million people was affected. One of the warlords - Charles Taylor – who had managed to get elected president was forced to step down, went into exile – in Nigeria – but was later handed over to the Special Court for Sierra Leone. Liberia again made history when former president Charles Taylor was convicted of arming, supporting and guiding a brutal rebel movement that committed mass atrocities in Sierra Leone and sentenced to 50 years in prison, the first former head of state ever to be tried and convicted by an international court since the end of World War Two. Meanwhile his successor had also made history: Ellen Johnson Sirleaf, Africa’s first democratically elected female president. And last year Liberia again made history when the Nobel Peace Prize was awarded to three women among whom two Liberians: President Sirleaf and peace activist Leymah Gbowee. The Heritage mentions Liberia’s role on the international scene: co-signer of the UN Charter in 1945, an active role in the 1963 creation of the Organization of African Unity, the predecessor of the African Union, and staunch fighter against Portuguese colonialism and an oppressive system of apartheid in Southern Africa in the 1960s and 1970s – despite the economic and social exclusion and legal discrimination of the large majority of the Liberian people by a minority of less than 3% of the population. The reality is that 165 years after its creation Liberia still lacks the infrastructure and capital needed for its development. The unemployment rate is 90% or even more. There are only a few qualified teachers and doctors. Most Liberians lack access to clean water and modern toilet facilities. Lack of drainages turns streets and alleys in Monrovia and the bigger cities in mud streams and nearly rivers, roads in the interior of the country become impassable during the heavy rainy season. Public electricity is scarce and virtually limited to government buildings. Monrovia is one of the few capitals in the world – if not the only one – without traffic lights. So, what is there to celebrate? Freedom? Yes, indeed. In Liberia there are no political prisoners. There exists freedom of the press, freedom of opinion, freedom of religion, freedom of association. Of course, there still are some bones of contention such as the rights of gay and lesbian people and the traditional practices of tribal societies such as circumcision in the Sande society. But compared to some other African countries Liberia does well. Another positive judgement concerns the economic policy environment. Led by a Harvard trained economist with wide experience in international affairs, politics and banking and with excellent connections in international organizations – President Sirleaf – the standards set are high. It resulted in a debt cancellation of US $ 4.6 billion in 2010 and strong support of the Bretton Woods institutions, the World Bank and the IMF, and bilateral donors including the United States. Unfortunately, corruption – never eliminated despite Sirleaf’s war on corruption announced after her inauguration in 2006 – mismanagement and increasing concerns of nepotisme threaten to destroy the positive assessment in the area of economic policies. But how good economic policies are, the resources of the government remain scarce. The proposed national budget for FY 2012/2013 amounts to a meagre US$ 650 million – with a public debt that already stood at over US$ 530 million in December 2011. 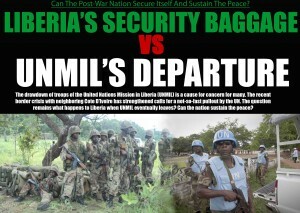 No doubt, a major achievement concerns the political stability and peace Liberians now enjoy, secured by an important UN peace keeping mission, UNMIL, and allowing the Sirleaf Administration to realize the septuagenarian’s political ambitions. 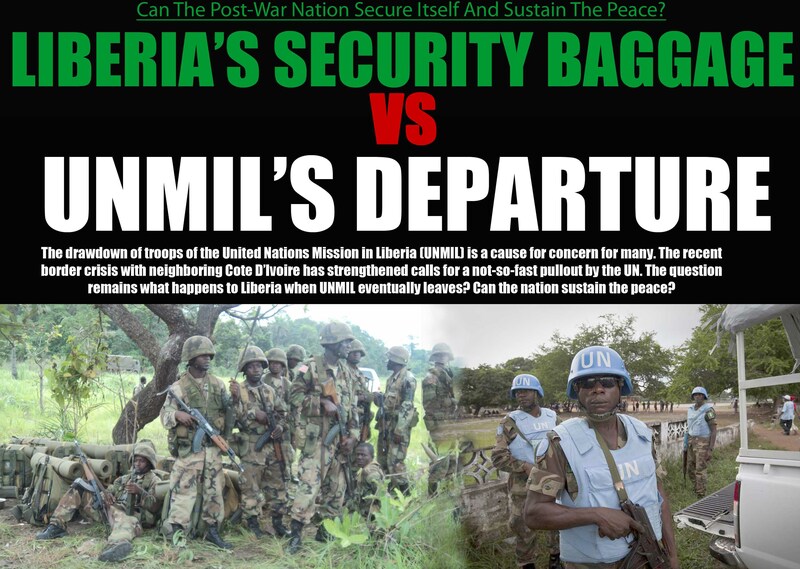 However, the fragile peace is threatened and political stability jeopardized by the announced withdrawal of the UN troops, also because the country’s basic problems are not being addressed: reconciliation between perpetrators of atrocities committed during the war and their victims, and unification: bridging the gap separating the various social groups and tribal communities that constitute the Liberian society. After the July 26 independence day celebrations Liberia and Liberians will again be confronted with the harsh reality of everyday life in a poor country – I should rather say: of poor people in a rich country, because Liberia is well endowed with natural resources: gold, diamonds, iron ore and – more recently discovered – oil, and has an important agricultural potential: rubber, palm products, tropical fruits, timber. Reconciliation, an end to impunity and unification should be among the country’s top priorities, closely followed by reconstruction and economic recovery. It will be good to review the progress made in these areas on the occasion of the country’s 196th independence anniversary. 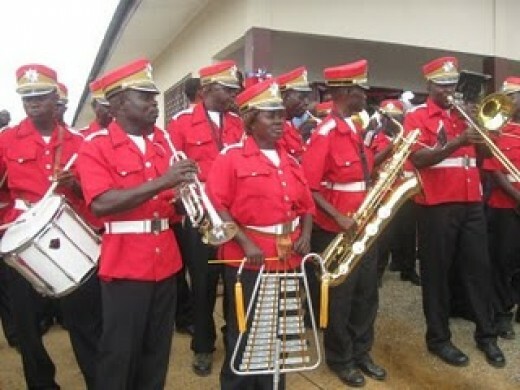 Liberia’s celebration of its independence anniversary will be held in Monrovia – for austerity reasons. The 165th Independence Orator is is Dr Elwood Dunn, one of Liberia’s eminent citizens. I look forward to his reflections and message. Congratulations Liberia and a happy independence celebration to all!!! This entry was posted in Charles Taylor, Civil War(s) Liberia, Coups in Africa, Debt relief, Elections in Liberia, Ellen Johnson Sirleaf, Leymah Gbowee, Liberia, Liberian History, Monrovia, national budget, Nobel Peace Prize, Press freedom in Liberia, Reconciliation, Samuel Kanyon Doe, Sierra Leone Special Court, UNMIL, William R. Tolbert Jr.. Bookmark the permalink.